World Lingo is a world famous brand that specializes in the provision of Translation services to individuals and Business owners who are looking to grow their business across the globe. The brand uses the latest technology and combines a team of Professional translators who work round the clock. The goal is to ensure that every World Lingo customer is happy after each transaction. As a leading provider of Translation and proofreading services, World Lingo is looking to expand its team of Translators and Proofreaders. If you feel your translation skills are top notch, feel free to apply for the Freelance Translator position at World Lingo. There are two main categories of Translators at WorldLingo and they are the Generalist and the Specialist. You must be a Member of the professional translation association in your home country. A university degree in your area of specialization. As a Salesperson, you will be required to sell World Lingo’s translation and proofreading services to prospective and existing clients. World Lingo offers a wide range of products and services that clients would be most interested in. Your job as a sales person will be to introduce these services to the clients and help the brand make sales. In order to qualify for this position, you must have at least 3 years of experience selling Translation services with a proven record of success. The Sales position is location-based so visit http://www.worldlingo.com/en/company/sales_jobs.html to get an idea of the Locations. 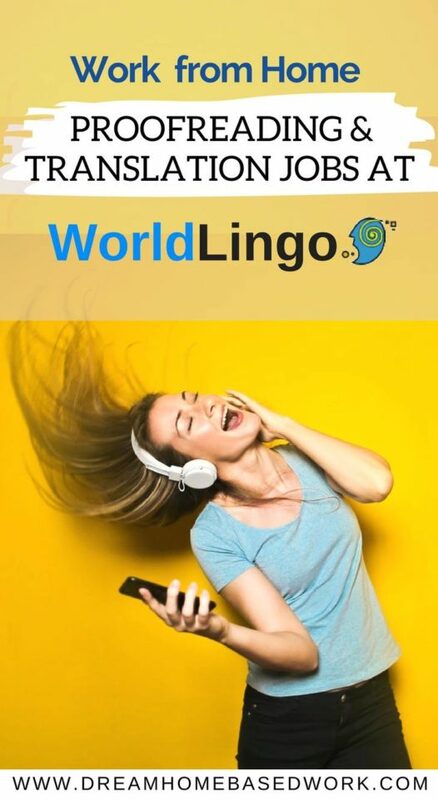 In order to apply for any of the above mentioned positions with World Lingo, all you need to visit http://www.worldlingo.com/en/company/jobs.html, click on the available Job openings, create an account, and then apply for the position of your choice. It is simple, clear, and stress free.